We’re helping you relax with a DIY lavender eye mask and foot scrub today! Trust me, you’re going to love these easy treats for your head and your toes! Lavender is one of the most popular essential oils for a good reason: it has amazing calming properties! It’s also one of the safest essential oils to use, although you should still avoid applying it without some sort of carrier oil (basically, dilute it). Just rub a bit of our lavender foot scrub on your feet, then recline in your favorite comfy chair with our lavender eye mask! You’ll be off to dream land in no time. ►► Never Miss out. Sign Up for our WEEKLY newsletter HERE. Let’s start with your head, shall we? More specifically, your eyes! 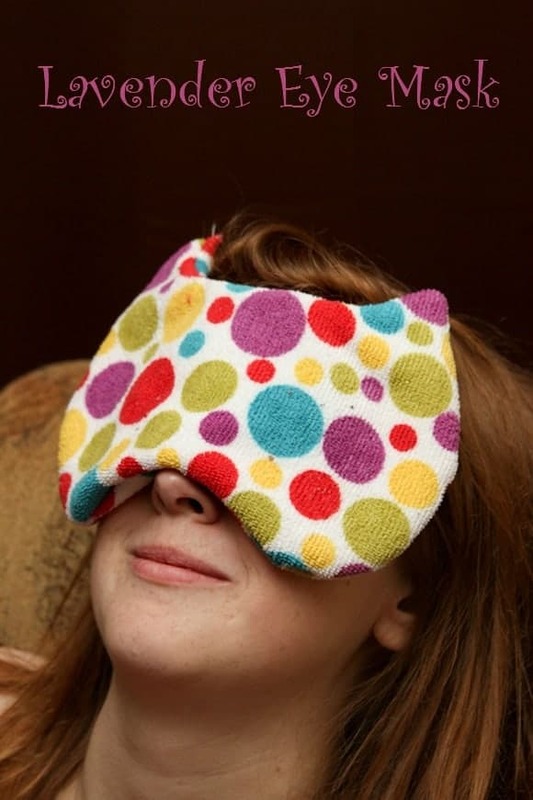 This eye mask is so divine when you heat it up in the microwave. Just make sure you don’t make it too hot. About 30 seconds should do it. Of course, it’s awesome unheated too, as the lavender scent will still help calm you after a long day. 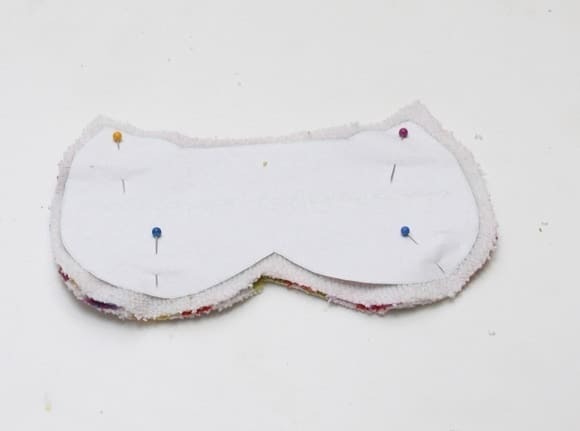 Step 1: Draw an eye mask pattern onto a piece of paper or print a pattern from an online site, like this one. 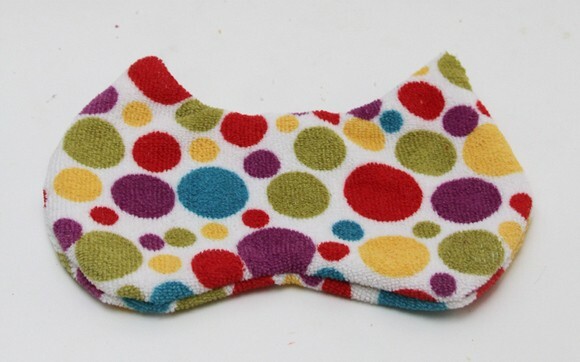 Step 2: Fold the small hand towel in half and pin the pattern to towel cut. 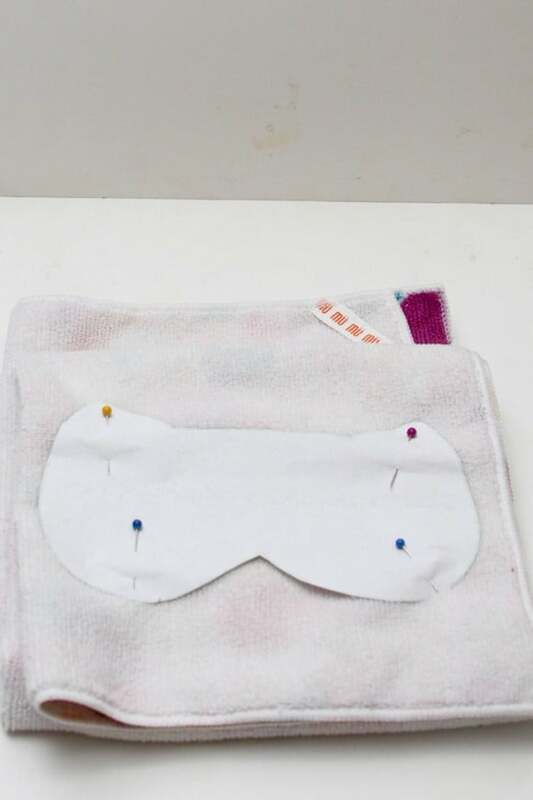 Cutting through both layers of the towel cut out an eye mask pattern. Note: Cut the pattern larger than needed as the sewing process will reduce the size significantly. Sew mask together, leaving a small 1” opening. Step 3: Place the print sides of the mask together and pin. Step 4: Sew mask together, leaving a small 1” opening. Step 5: Turn the mask inside right through the opening. Using a small funnel fill the mask with dried lavender. Step 6: Hand stitch opening closed. 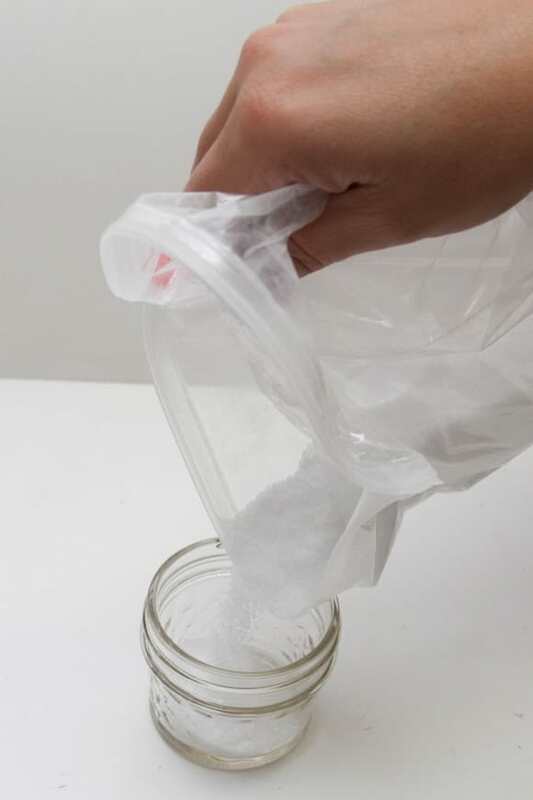 Step 1: In gallon sized zip-lock bag Epson salt, sea salt, and baking soda into a gallon sized zip-lock bag and shake well so its all mixed together. 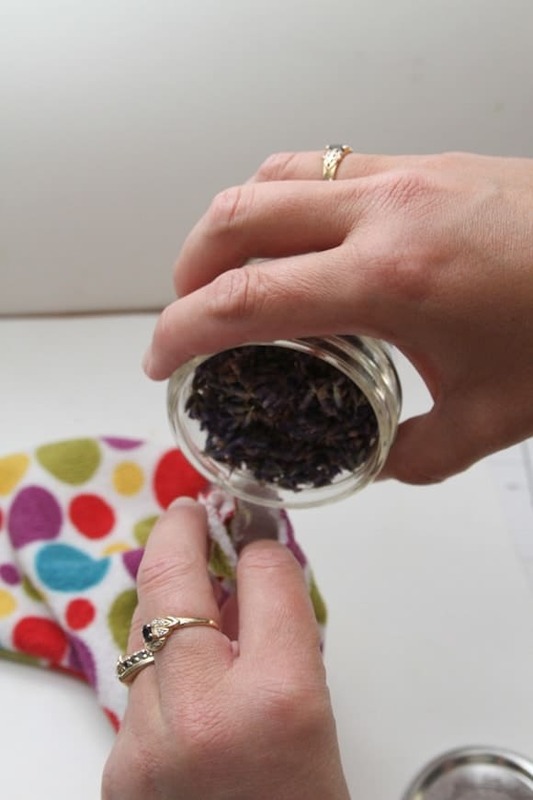 Step 2: Add 5-10 drops of lavender in to the bag and shake. Step 3: Pour the scrub into small mason jars. 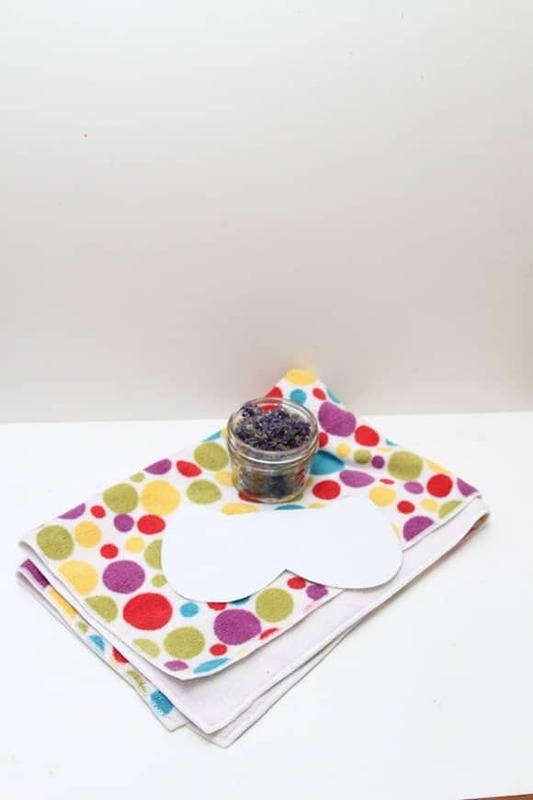 We hope you enjoy our relaxing DIY Lavender Eye Mask and Foot Scrub! These also make terrific gifts for the holidays! If you’re looking for more gift ideas, check out our Deco Candle project! Follow our For the Home Pinterest Board for more great craft ideas! Would you make this DIY Lavender Eye Mask & Foot Scrub for yourself or give it as a gift? this write-up very forced me to try and do it! Your writing taste has been amazed me. Such a great idea! My daughter would love this. Both look easy to do, they would make a nice gift! Will have to keep it in mind for Christmas this year. Now, this looks like something I can actually do! I love lavender and would love to try the scrub. The kids and I are going to make this for grandma, she loves lavender. Yay! I love lavendar! Will def be making the eye pouch! The eye mask is exactly what I am looking for, lavender is so soothing for tired eyes. That looks so relaxing. I would love to make one with some of my favourite scents. Great idea and it looks really easy to make. Oh man I would so make one of these, if I know how to sew! This would be so nice to have!! This is so fantastic! I would love to make one of these for myself and they could make an excellent gift too! These are both brilliant ideas! I do love a good eye mask! Thanks! Lavender is so soothing, great idea for the masks! Will make some for holiday giving! I plan to make some masks for my friends and pair with bubble bath and other bath items for holiday gifts. I love this idea! These would make great DIY gifts for Christmas or birthdays. Looks easy to make – concerned that the lavender oil would transfer off your feet on to whatever they were resting on – or does it absorb very quickly? What a great idea! I’m going to make these. The scent of lavender is so calming, and I love the edible form in baking! I so need this for me and I think I can actually do the mask. If all comes out well I will be making these for my family and friends! What a great idea – I love lavender. It’s so soothing! I think this would be a nice gift for a teacher.. could make up a number of them at a time and have them on hand as a sweet gift. Looks very nice. I really need to learn how to sew. Love it! I didn’t even think I could make my own mask – such a great idea! Oh that sounds wonderful. I don’t get to pamper myself often and I think doing these would be great. 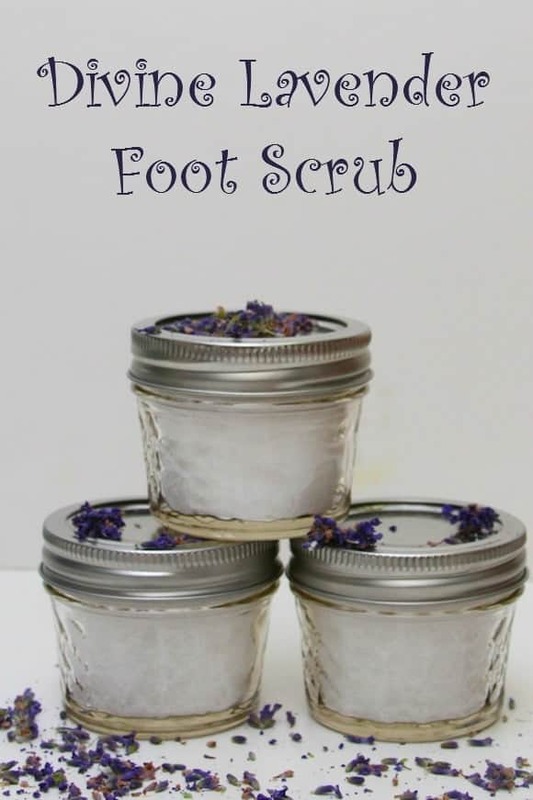 I love the foot scrub, I like the smell of lavender too so this is something that I’d make for myself. I like the idea of a scented eye mask! Looks like a good project for the kids to make for mom! What a great idea to make it out of a towel! I love these DIY ideas using lovely lavender. Lavender is my favourite scent. It sends me into total relaxation! I plan on making one for myself. It would be great to have it handy when I need it. The eye mask looks so beautiful. I want to try making that!